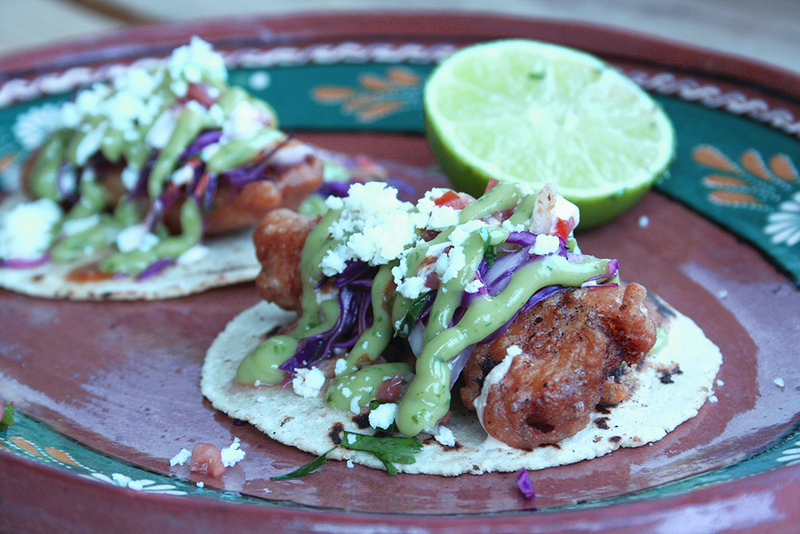 Beer battered fish topped with red cabbage slaw, spicy sour cream, and avocado. 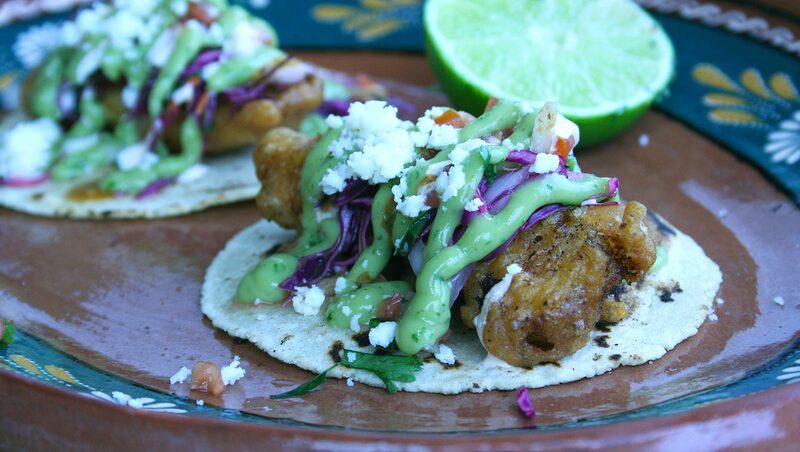 Growing up in San Diego we got to eat great fish tacos whenever. The best ones came from Rosarito or Ensenada, Mexico. 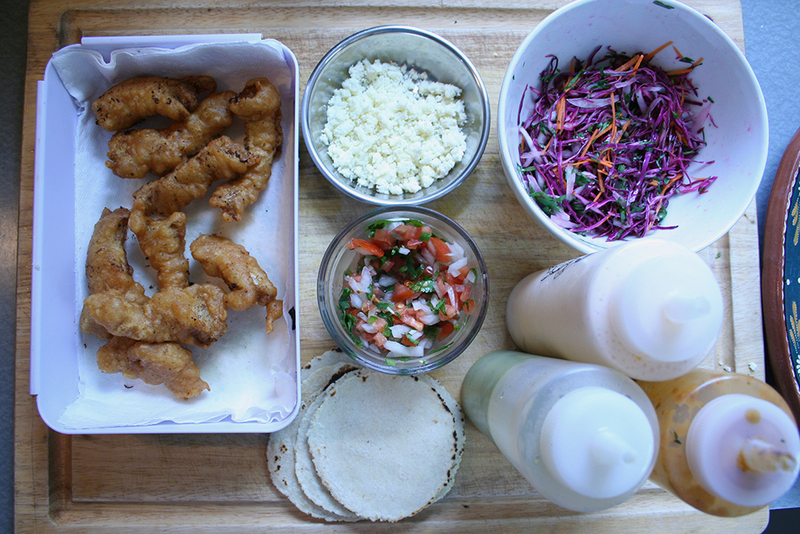 Beer battered white fish on a fresh tortilla and some simple fixings. Now living on the East Coast, we’ve had to make our own. These are pretty close. The essential ingredient is a good corn tortilla. On the East Coast, good quality can be hard to find. 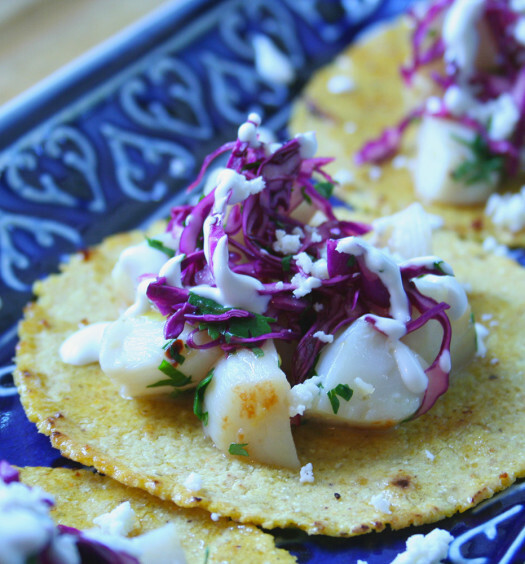 You can use standard grocery store bought corn tortilla and they will be ok, but not great. We’ve been making our own. It takes a bit of time to master, but it’s worth it. We’ve been able to find the queso fresco (fresh cheese) here and there. It’s a simple, salty cheese that crumbles easy. You can make it homemade and it’s pretty good. Whenever we find it, we buy a bunch and freeze it. It holds up well. 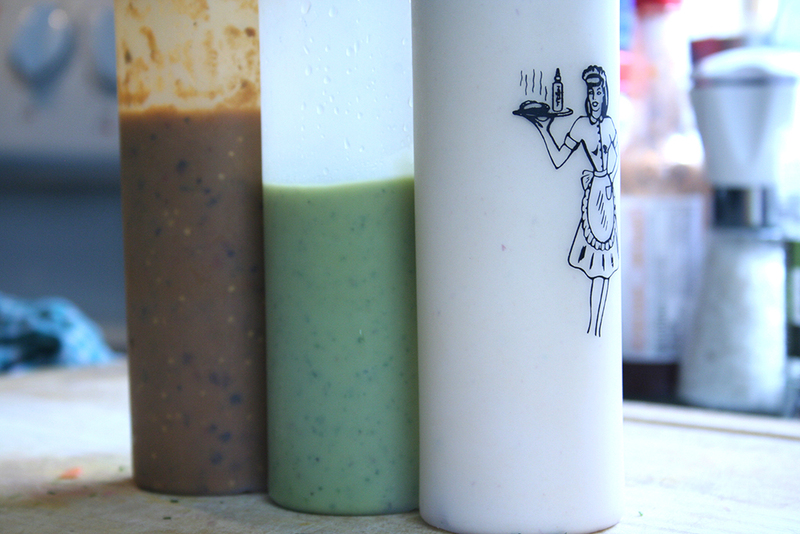 First I like to pull the salsa, avocado sauce, chipotle sour cream sauce, slaw and hot sauce together. Cut the fish into approx. 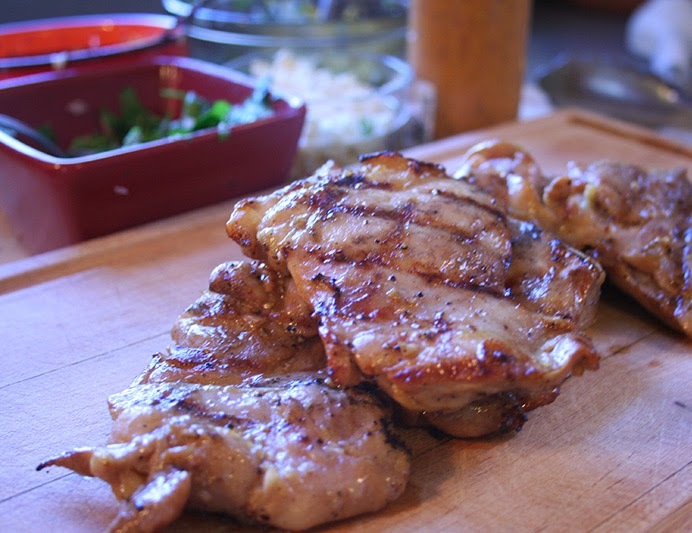 8 finger-sized pieces and sprinkle on both sides with 1/2 lime, 1tsp red chile powder and 1 tsp garlic salt. Let marinate in the fridge for 15 minutes. Combine batter ingredients. Slowly add the bottle of beer. You’ll use almost the whole bottle, but not quite. You want the batter to be about the same thickness as pancake batter. 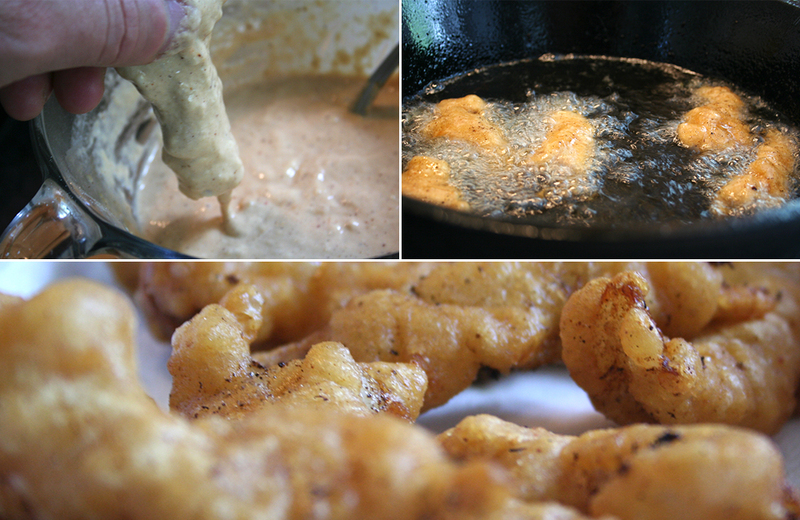 Dip the fish pieces in the batter and then into the oil. Fry until golden brown. 1-3 minutes. Remove and place on a paper towel. We use an electric griddle to heat the tortillas. You can use a cast iron if you don’t have a griddle. No need for butter or oil. 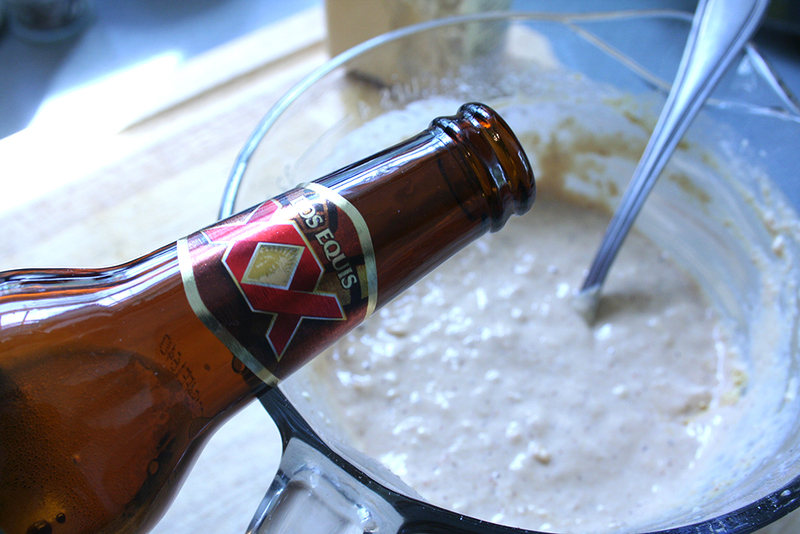 It’s important that you heat the tortillas or they’ll fall apart and won’t taste as good. I do a portion of the assembly while the tortillas are heating on the griddle. With the griddle on 300º, I heat the tortillas on one side for about 30 seconds and flip. Pull the tortillas to a plate and add the fixings. 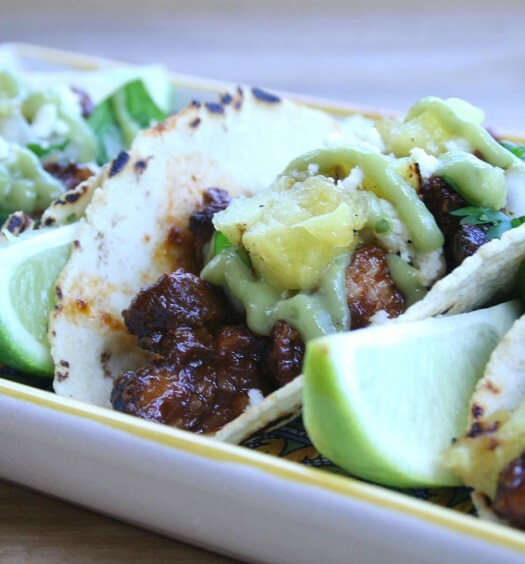 PS – I think you guys should open up a Mexican food restaurant. 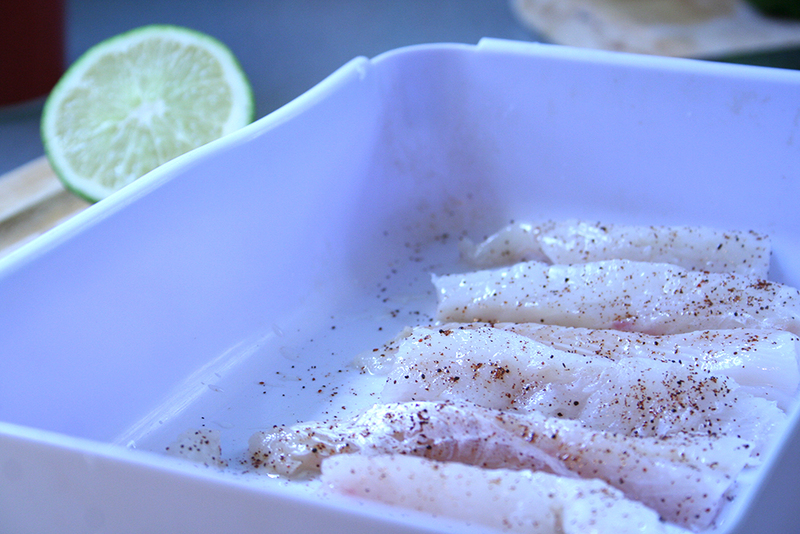 Tried this recipe tonight… Never had fish tacos before. I’m in love!! They are a wonderful thing. Exciting. 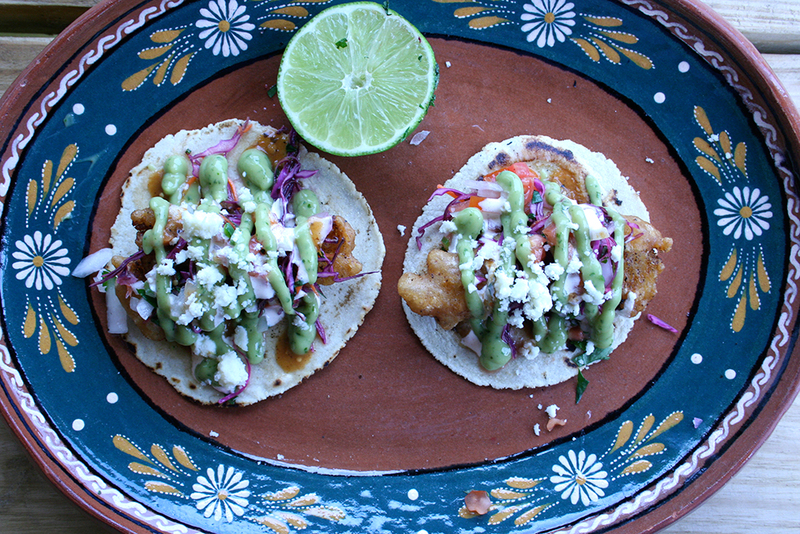 A fish taco convert. Awesome.